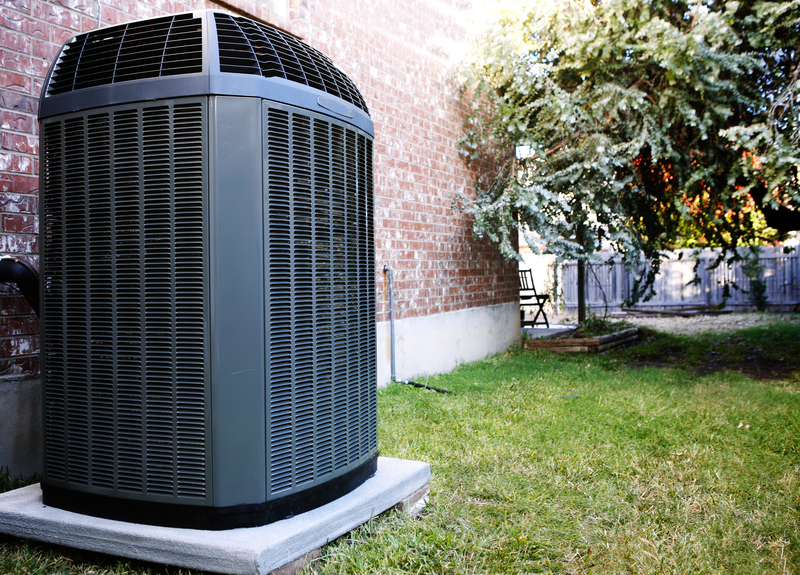 Your air conditioning unit is an extremely important part of your home, however it’s not something that you necessarily want to draw attention to. Most people would just as soon have their HVAC unit hidden from view. No one wants ugly AC equipment on their patio and ruining the ambiance of their outdoor living space. At ADA Heating and Air our professionals can help you with ideas on how to make your AC unit less of an eyesore. When looking at ideas on how to disguise your AC unit, it is important to remember a few important things. You should never block the air flow around any of the equipment. This will cause problems with the operation of your system which will impede its ability to cool your home and may also cause the system to overheat. Also, make sure that whatever creative solution you choose that you allow access to the equipment for repairs and maintenance. • Garden Structures – a decorative wooden garden structure can camouflage your outside AC unit while adding an element of outdoor design to the space. • Pallet Planters – creating a vertical decorative pallet planter that hides the unit is also a good choice. • Lattice vine wall – Morning Glories hanging from a lattice wall are a beautiful way to hide your air conditioning unit. Always make sure that the plants are not too close to the unit because of the heat that is emitted. • Cement block planter wall – an easy and inexpensive planter idea that will conceal your AC unit involves using cement blocks, wood shelving and some paint. • Painted door screen – another eye-catching idea is to recycle an old door, paint it and use it to hide your AC unit. • Ocotillo fence – using ocotillo plants to create a decorative fence is also a great option. • Decorative painted pallet screen – another inexpensive idea uses a shipping pallet and a little paint. You can use a bright color that complements your outdoor décor or let your kids stencil or paint it with their hand prints, adding a sentimental touch. • Plantings: caladium and elephant ears – these exotic-looking plants can grow tall enough to hide your AC unit, just be sure to keep them away from the heat. • Wooden seating with built in AC cover – if you are a carpenter or know one this idea is a great one. • Paver Wall – creating a stone wall out of patio pavers will also allow you to cover the unit. • Lattice screen and planter box – this idea prevents debris and leaves from getting into your unit. Using a lattice screen and planter box can be a simple fix. • Bamboo wall – this idea provides additional privacy while hiding your system with a beautiful bamboo wall. At ADA Heating and Air, we can help you with all of your heating and cooling needs. Contact us as we proudly service all of Central Kentucky, Danville, Nicholasville, Winchester, Versailles, Harrodsburg, Lancaster, Stanford, Lexington and the surrounding areas.